Dhankot Traders is a flourishing name that is known for delivering vast array of Internal Circlip in different sizes and diameters. In fact, these are also manufactured as per the demands and preferences of clients, based in India and abroad countries. Fabricated using optimum raw materials, our ranges are enormously applauded by various industries as these are extremely durable, sturdy and excellent in performance. For sure, our ranges are easily installed and this is the reason, our products are highly demanded in the marketplace. So far, we are considered as one of the trustworthy Dealers and Distributors of Internal Circlip from India. 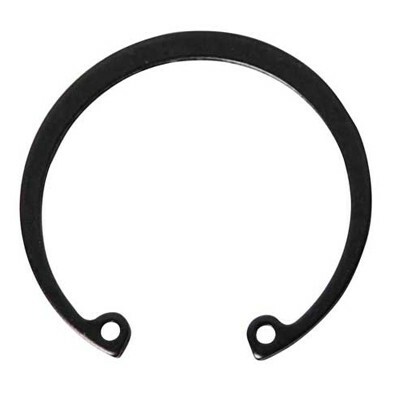 Certified according to IS: 3075 and DIN 472 Standards, various industries are placing bulge orders for the requirement of these Circlips. Additionally, we are enlisted as one of the reliable Manufacturers, Exporters and Wholesale Internal Circlip Suppliers, based in Chennai (Tamil Nadu) India.